Blaengwynfi (left). Picture by Biggs (CC BY 2.0). The City of London (right). Yesterday, the current UK Chancellor, Phillip Hammond gave his Spring Statement, confirming that the UK economy is now the slowest growing advanced economy in the world. What a difference a Brexit makes. The Chancellor’s statement revised down growth for 2017 from 1.8 percent to 1.7 percent and confirmed that growth will be even lower than that in every single year from now until 2022, when we’ll finally get back to current levels. While the Chancellor celebrates 1.7 percent growth, the Republic of Ireland’s economy is growing by 7.3 percent. And in Wales, 1.7 percent will be more like 1 percent – shackled as we are to Brexit Britannia. What that means for our citizens is that we’ll have less money in our pockets, and any money we do have will be worthless. Our standard of living will continue to be squeezed. What is perhaps even more concerning is that the Office for Budget Responsibility’s (OBR) forecasts are based on Theresa May’s fanciful scenario of ensuring the UK retains its full free trade arrangements despite leaving both the Single Market and Customs Union. This is a scenario every sane person knows is complete fantasy. The reality will be much bleaker than even these already bleak figures suggest. Let’s consider the UK Government’s own analysis of the impact of different Brexit scenarios on the UK economy. If we take estimated growth in UK GDP over the next fifteen years to be twenty-five percent in real terms – the equivalent of 1.5 percent per year – the reduction in such growth arising as a result of a no-deal Brexit would be 7.7 percent, or £158 billion. To put that into perspective, the whole of the Welsh Government’s budget, including everything it spends on the NHS, schools, local government and everything else, is £15 billion a year. Most of that reduction will be as a result of trade barriers being placed between us and our important trading partners and therefore the brunt of the £158 billion will be felt in those areas where trade forms a bigger proportion of the economy – areas like Wales. London, with its reliance on business and financial services, will prove resilient whereas Wales, with a much higher proportion of its exports going to the EU and its reliance on manufacturing sectors, stands to lose. 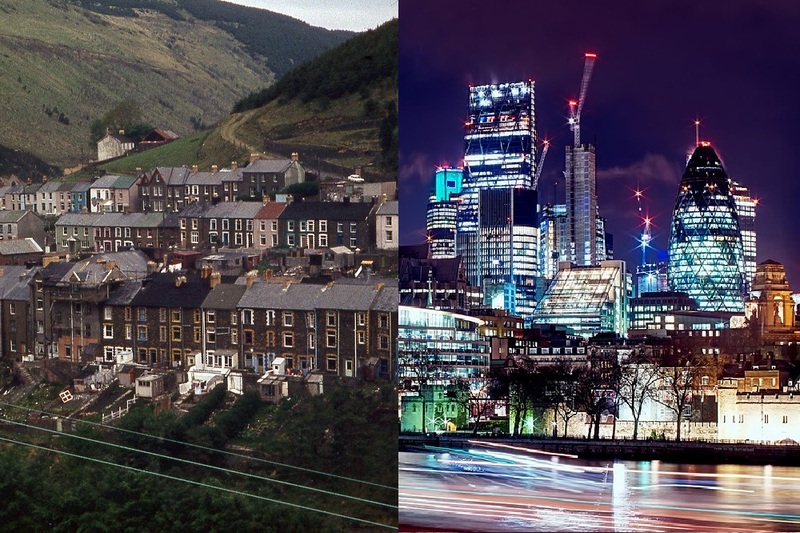 The end result of all of this is that the whole of the UK – Wales, Scotland and the manufacturing regions of England will all become yet more dependent on the financial services sector in London – a sector that will itself become weaker. The only alternative for us is to take control over our own economy, like Ireland has done. We have to have the whole portfolio of economic powers in Wales so that we can get on with the job of building a brighter future for our people. It is not sustainable for us to continue to accept an economic programme built to suit the needs of another country. We need to build our economy on our strengths. All Welsh taxes should stay in Wales and used to fund Welsh public services. Corporation Tax, Income Tax, VAT and Air Passenger Duty must all be devolved to Wales. If we leave the Single Market and Customs Union, there’ll be no excuse for Westminster to keep its hands on Welsh taxes. The Chancellor might well be celebrating, but the reality is these figures should be a wakeup call for us in Wales. Westminster-rule has failed and it is only going to get worse as Whitehall Britocrats scramble to protect the City of London at all costs, while our manufacturers and exporters are left to wilt. It shows just how important it is that we resist Westminster’s attempts to roll back devolution through the Withdrawal Bill and why my colleague, Steffan Lewis’s Continuity Bill is a necessary step to ensure Westminster doesn’t gain an inch on our hard-won right to run our own affairs.